Do you prefer Grosse Pte. schools & free money? House qualifies for programs from 2 lenders. The program is beneficial because the lender pays certain buyer expenses including the appraisal. 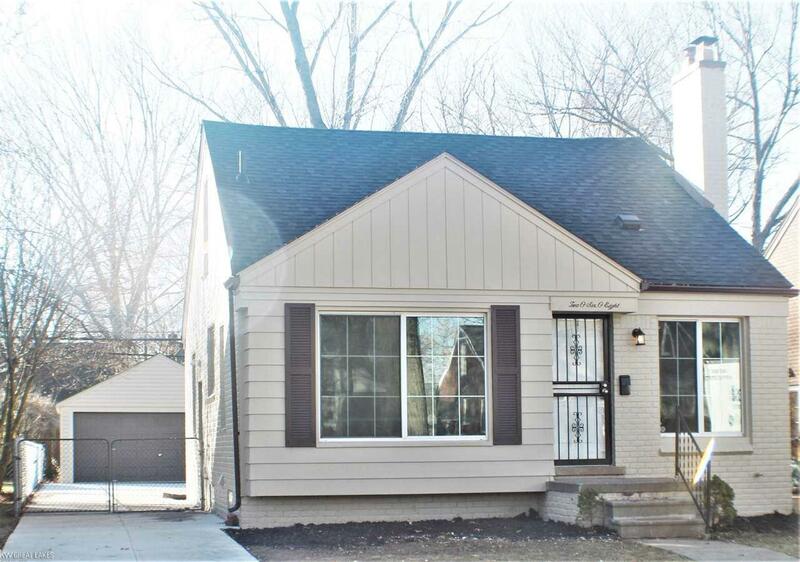 This BRICK Bungalow is Freshly painted throughout, REFINISHED hardwood floors. Kitchen & bathroom professionally remodeled. The fixtures are all newly updated w/modern high efficient LED lights. HMMMM! I mean even the small items; moldings, switches, outlets, vent covers all new. You work hard. You need, no you deserve to spend your weekends in this over-sized backyard BBQing w/friends & family. Chillaxing in front of your awesome CUSTOM STONE FIREPLACE, or simply enjoying a meal in the formal dining area. There&apos;s so much to do in the area. MINUTES from DOWNTOWN DETROIT or Lake St. Clair. The basement is DRY, clean & inviting. Why not customize your very own MAN-CAVE? The upstairs bedroom even has built in dressers & vanity. The driveway, garage floor, roof, furnace, hot water tank. Yep, all new.